Tailgater 2 (Made in the USA) is designed for ALL model pickups and also the newer 40lb propane tanks. $19.95 plus S&H. 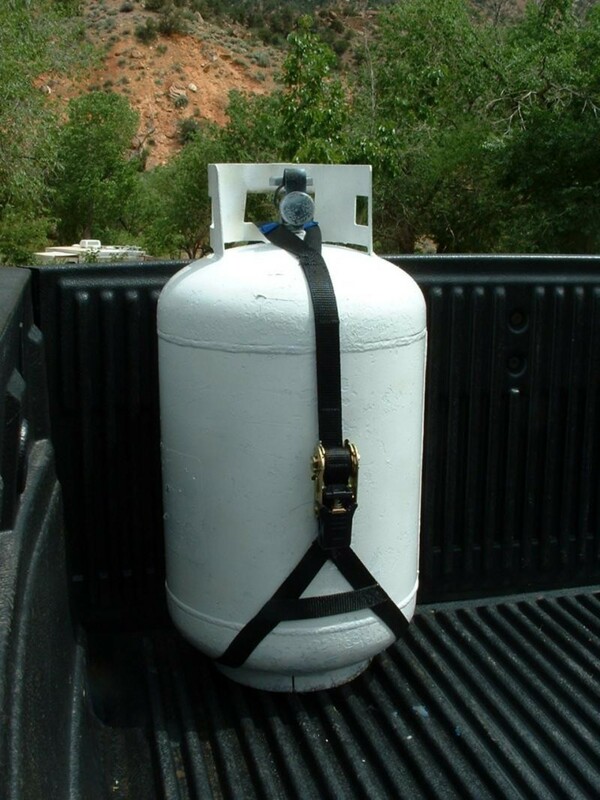 Ever wondered what would happen if you had to suddenly brake very hard to avoid a collision while transporting your propane tank in your pickup? Simply tieing the tank down with a bungee, or in some sort of base will NOT prevent the tank from flying through your back window, or worse, exploding.